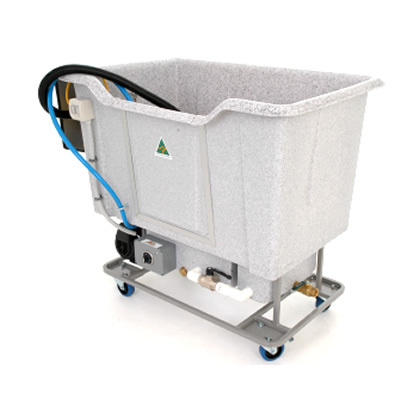 Our Super Twin Tank Deluxe hydrobath is our most popular model. 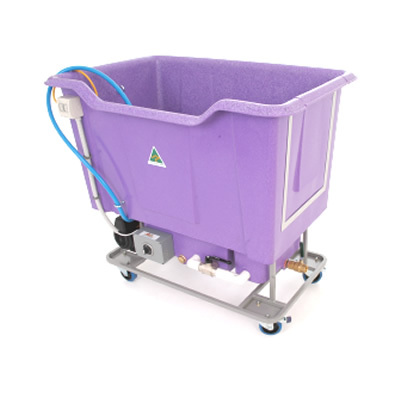 It enables you to wash and rinse continuously. 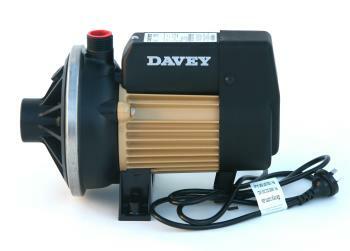 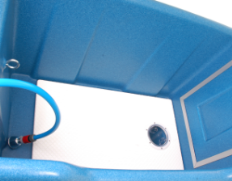 The hydrobath features a heater with thermostat control, auto fill float device and a filter-strainer. 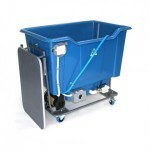 The Holding tank is sealed from the wash tank so clean heated water is used all the time. 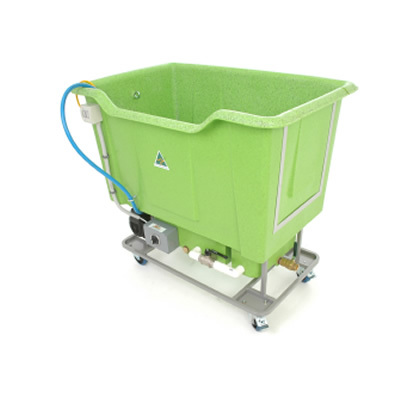 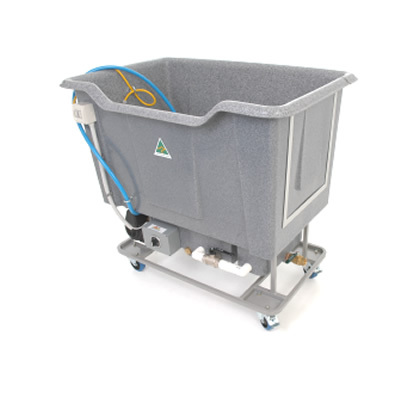 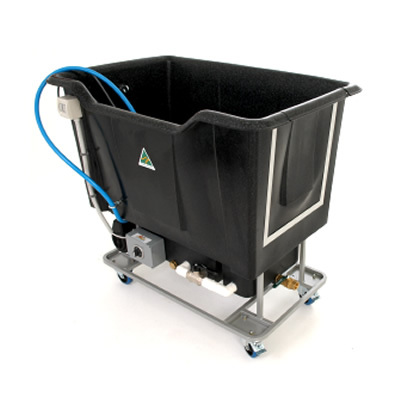 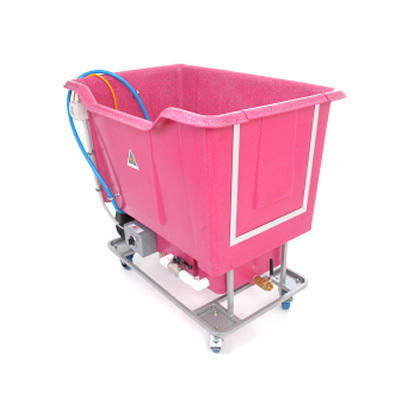 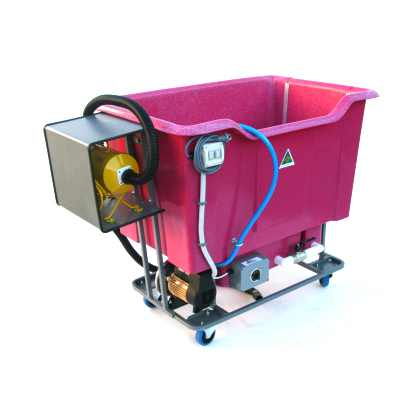 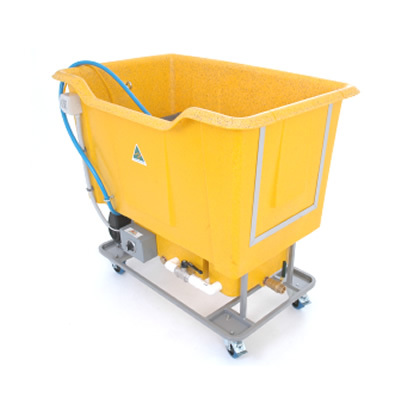 This model is fitted with an Oldfield SD1000 Dryer, mounted to the left side of the bath in a splash resistant powder coated box. An ideal unit for the mobile groomer! 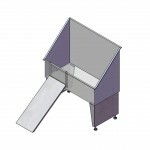 Dryer model can be upgraded at an additional cost if required. 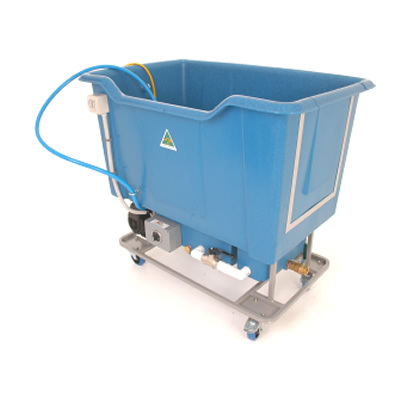 Closed vane impellers with full length ””D”” drive for positive robust impeller drive.